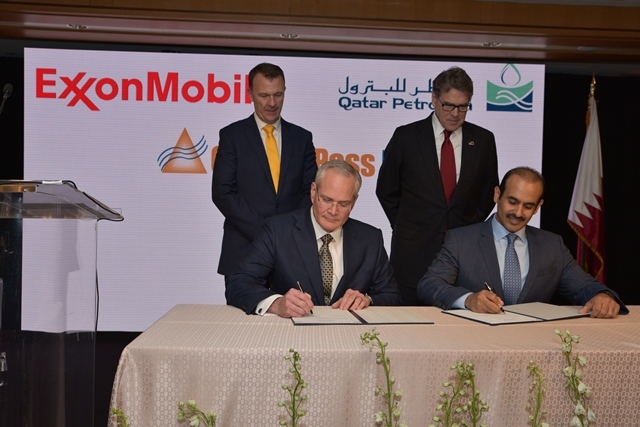 Qatar Petroleum and ExxonMobil have taken the final investment decision for developing the Golden Pass LNG export project, which is located in Sabine Pass, Texas, and is owned by Golden Pass Products LLC – a joint venture between affiliates of Qatar Petroleum (70%) and ExxonMobil (30%). The decision to proceed with the $10+ billion investment was announced during a special ceremony held in Washington D.C. on Tuesday in presence of Saad Sherida Al-Kaabi, Minister of State for Energy Affairs, President and CEO of Qatar Petroleum, Rick Perry, U.S. Secretary of Energy, Darren Woods, Chairman and CEO of Exxon Mobil Corporation and senior executives from Qatar Petroleum, ExxonMobil and Golden Pass LNG. The final investment decision will pave the way for the construction of the Golden Pass LNG export facility, which will have a production capacity of about 16 million tons of LNG per year. Project execution activities will commence in the near future, and are expected to create in excess of 45,000 direct and indirect full-time jobs in the U.S. during the construction period, which is expected to take about 5 years. It is estimated that the project will generate more than 35 billion dollars of economic benefits in the U.S. including federal, state and local tax revenues over the life of the project. 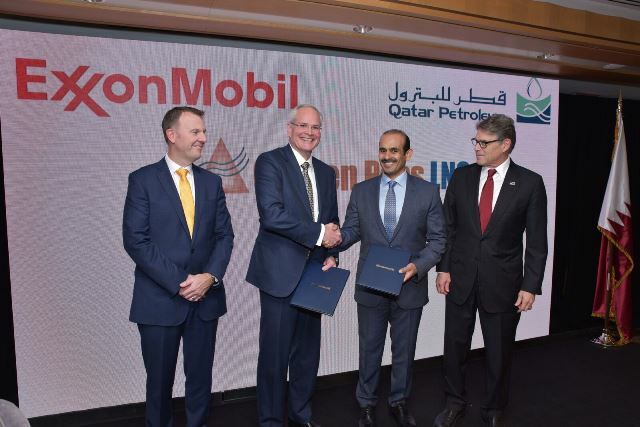 “The Golden Pass project is proof that two of the world’s top energy producers can work together as allies to increase energy diversity, advance energy security, and support rather than subvert an open energy marketplace,” Secretary Perry added. “We look forward to bringing our shared expertise to bear at Golden Pass, which will help to provide low-cost, cleaner-burning natural gas to meet growing global energy demand and improve living standards,” added Woods. The project’s Engineering, Procurement and Construction (EPC) contract was awarded to a consortium comprising Chiyoda, McDermott and Zachry and was executed at the ceremony by senior executives representing the consortium together with Golden Pass LNG.